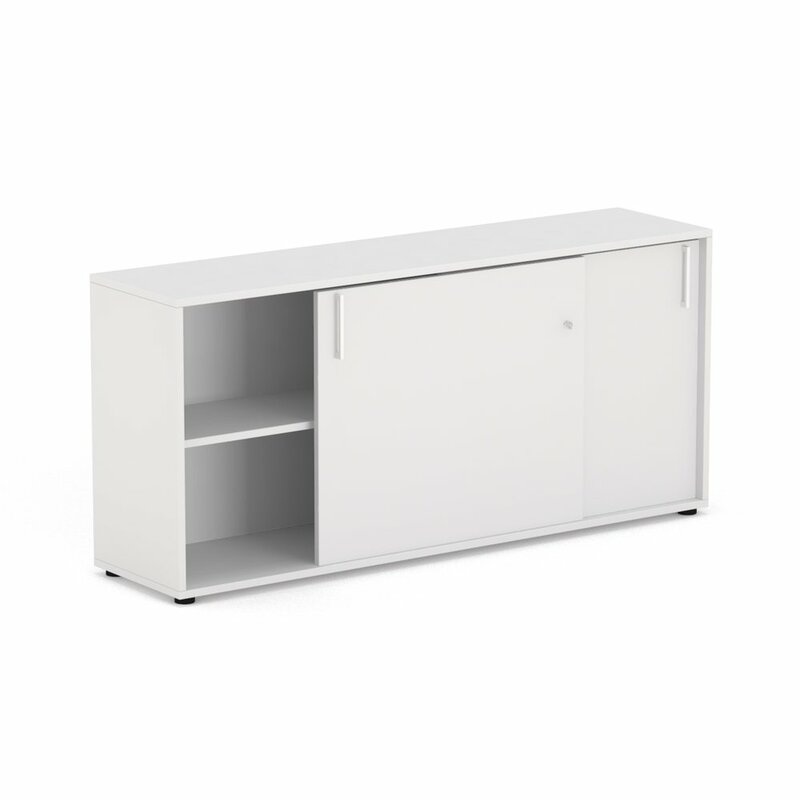 Cabinet with two height of shelving and sliding doors. Lacquered steel handles and optional lock. This 74cm high version goes flush with most Elementa tables, including the Plane and Angled series. This is cabinet #11 in the O2 Straight Storage series of minimalist office storage. Visit our CAD section to download DWG’s of each model.